Privacy Statement for the Web or Mail Orders. When you order from us or request a catalogue we automatically place your name and address on our email or physical mailing list to be posted future Darling Buds Florist catalogues or special offers. Your details will be kept secure and private and they will not be sold, swapped or passed onto other companies. Naturally at any time you can correct your own details, check them or have them removed from our list altogether. Simply contact us with your wish to do so. On email communications there will be an unsubscribe option. 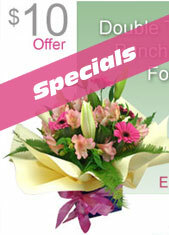 At Darling Buds Florist we are always careful about keeping employee's personal details private. To this end all personnel records (such as work contracts, banking details, tax number, pay details, health reports, performance and wage reviews plus any other information supplied by the employee at the commencement of their employment with Darling Buds Florist) are kept in a secure environment under lock and key and/or in our password protected computer. Access to personal information is limited to Darling Buds Florist managers, payroll and human resources staff on a needs-to-know basis only. Personal information is not disclosed to outside parties unless we have the individual's permission to do so or unless we are required to do so by law. The private information in staff files is used to calculate pays, any relevant pay deductions (eg tax) and to review an individual's performance and salary. 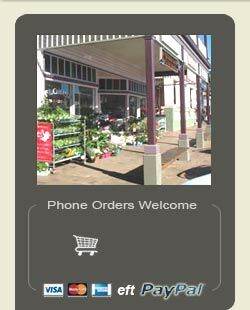 An individual can arrange with their manager to have access to their personal file at Darling Buds Florist (with a few exceptions allowable by law). We will only collect that personal information which enables us to carry out our major functions.. The only "sensitive information" information we will collect will be that relating to employees' health and we will do so with their consent. We will only ever collect personal information using lawful and fair means in ways which are not unreasonably intrusive. Whenever it is reasonable and practicable to do so, we will collect personal information about an individual only from that individual. (d) to whom such information is to be disclosed. Where it is not practical for us to collect information from the subject themselves we will take reasonable steps to ensure that the individual is or has been made aware of the 4 points above at the earliest time practical. In the case of health information , this can only be collected with this individual's consent. All the personal information we collect will only be used in ways which the subject might reasonably expect i.e. - for the primary purpose for which the information was collected and secondary purposes which are closely related to the primary purpose - unless we have the individual's consent to do otherwise. In the case that the secondary purpose is direct marketing we will not disclose personal information if the individual has made a request to us to not receive direct marketing communications; and we will, in each direct marketing communication with the individual, prominently display a notice, that he or she may express a wish not to receive any further direct marketing communications. We will also display our organisation's business address, telephone number and electronic contact details. Personal information may be disclosed in the case that Darling Buds Florist reasonably believes that the use or disclosure is reasonably necessary for emergency health or safety reasons or when legally required to do so or when legally authorised to do so. 3. Data quality We take reasonable steps to ensure the personal information we collect, use or disclose is accurate, complete and up-to-date. 4. Data security We take reasonable steps to protect the personal information we hold from misuse, loss, unauthorised access, modification or disclosure. We take reasonable steps to destroy or permanently de-identify personal information if it is no longer needed for any purpose for which the information may be used or disclosed under National Privacy Principle 2 (Use and Disclosure). 5. Openness We have a clearly expressed policy regarding our management of personal information which is readily available to anyone who asks. This policy covers, generally, what sort of personal information we hold, for what purposes, and how we collect, hold, use and disclose that information. On request by a person, we will take reasonable steps to let the person know, generally, what sort of personal information we hold, for what purpose, and how we collect, hold, use and disclose that information. 6. Access and correction We provide individuals with access to their own information on request subject to some exceptions allowable by law. If an individual is able to establish that the information we hold about them is not accurate, complete and up-to-date, we will take reasonable steps to correct the information. If the individual and Instore Pty Limited disagree about whether the information is accurate, complete and up-to-date, and the individual asks us to associate with the information a statement claiming that the information is not accurate, complete or up-to-date, we will take reasonable steps to do so. We will provide reasons for denial of access or a refusal to correct personal information. 7. Identifiers We will not adopt individual identifiers which have been assigned by or used by a government body or agency eg: tax file number. Note: An individual's name or ABN are not considered individual identifiers by The Privacy Act. 8. Anonymity Wherever it is lawful and practicable, we will give individuals the option of not identifying themselves when entering transactions with our organisation. 9. Transfer of data Where it is necessary to transfer personal information about an individual to someone (other than within our organisation or to the individual themselves) we will do so only after we have taken reasonable steps to ensure that the information will not be held, used or disclosed by the recipient of the information inconsistently with either the National Privacy Principles or the ADMA code of conduct. 10. Sensitive information We will not collect or hold sensitive information as defined by the Privacy Act ie: • racial or ethnic origin • political opinions • membership of a political association • religious beliefs or affiliations • philosophical beliefs • membership of a professional or trade association • membership of a trade union • sexual preferences or practices • criminal record We will hold limited health information regarding employees but only that which is supplied with the individual's consent. This information will only be used for the purpose for which it was originally collected.